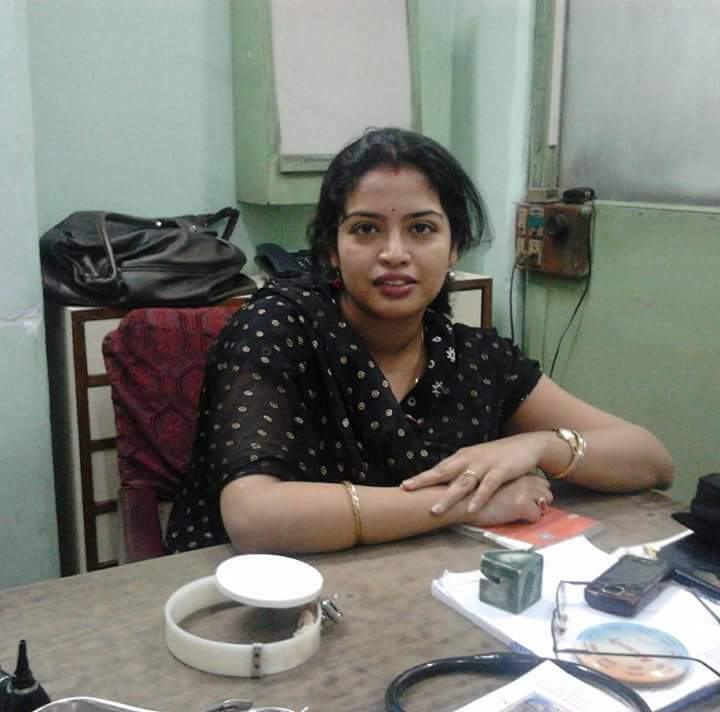 Today on 'On Writing' we have Dr. Amrita Basu Misra, who is an ENT surgeon, a medical teacher, a top blogger, and a mompreneur. Let us find out from the lady herself how she wears all these caps efficiently. Welcome to 'On Writing', Amrita! How did writing happen? Was it your passion from the beginning? Writing surprised me too.It was almost like I fell into it. Around 3 years back I was bored with how things were unfolding.The job was fine family was great, but boredom can be life-threatening.I was stuck in a small town with the reading being my only entertainment for mental stimulus. I started balcony gardening and it was almost like my plants spoke to me.I started writing. All other factors being same I think being around plants helped me write. I have a serious problem writing anywhere with no green view. You are a busy doctor, an ENT surgeon, yet you find time to blog, read and even publish books. What is your secret? Haa Haa.The secret I think is wanting to do something. When you really want something the universe helps in the most astonishing ways. to access when I have assignments due.Being a doctor and a medical teacher is a blessing. That helps me write better I think.My day job has helped me have clarity about a lot of things. My biggest inspiration is my daughter.I love how she draws, tells stories about her pictures, and her understanding and kindness towards me.Plus she is five.Her self-assurance and confidence in her creative expression are inspiring. I want her to know that life always guides.If you are stuck in a box you can still find ways to explore the world. If you look hard enough there are always ways. What made you write ‘Fruits for Life’? Fruits for Life had a lot to do with Blogchatters A to Z ebook carnival.I signed up for blogging a book just to learn the process and I loved it. I am passionate about preventive healthcare and lifestyle changes for a better life.Fruits are a favorite treat at home. I think my mom instilled this love of fruits with all meals from childhood.Since both my husband and daughter enjoy fruits too it helps us keep healthy.That's why I thought of writing about nature's multivitamins as my first sojourn into writing a book. How important do you think reading is to grow as a writer? Reading is the only way to learn the science and art of writing.Reading teaches us the art of storytelling and even nonfiction needs some amount of storytelling capacity to make it fun! Until you read I feel its wrong to expect other people will read your work.It's impossible arrogance to assume you have a magical writing brain which needs no learning. We can all learn all the time. I read for fun, entertainment.for relaxation and to educate myself. My reading habit is a part of my daily life.I almost read as much as I breathe if you take away the time I am sleeping or treating patients. Even then I am reading prescriptions, Investigations and writing notes about possible causes for their condition. Both my current professions need me to read a lot and write a lot. As a doctor, I have read continuously for the last 17 years.Books in my specialty and broader aspect of medicine.The only way to treat and help people better is to update my skills constantly. Reading is an excellent way of doing that.I am a passionate reader, a voracious bookworm. There's no shortcut to this habit. How long did it take to finish writing ‘Fruits for life’? 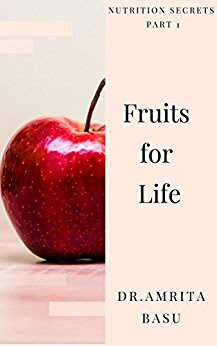 The writing part for Fruits of Life took approximately 25 days.Another 7 days for editing and proofreading, designing the book cover.It was published after 40 days of the day when I started to write it first. Is there a particular book that you have read which influenced you the most? My favorite book which has helped me and influenced me is On Writing by Stephen King. This is a book which has inspired me a lot.It's nonfiction by the Great King and it's a marvelous read. Plus it's helpful for all writers fiction and nonfiction.But my all-time favorite author still is Enid Blyton. My book on Childhood obesity is getting edited and I am writing a book on Blogging in India : Secrets tools and hacks which will help you make an income online. If you want the first part of the Blogging in India: Secrets Tools and Hacks free and a special price for the next 3 parts sign up through this form and you will get it in your inbox. You are an active blogger. What is the best thing about being a blogger? I love blogging.It's like your own way to make a digital library of your work.I have 400+ blog posts in my blog library.They are my letter to my daughter, the people who I want to help, letters to the universe, my hopes fears and dreams.Blogging is also my voice in a world where common sense, kindness, gratitude and hard work seems to be replaced by an irrational need to focussing on things which don't matter.Blogging is mental exercise and meditation at the same time.Since it keeps me on my toes challenging me to learn new technology (I love that part ) blogging is a new adventure every day.Blogging is also a place where I have made some very good friends online who understand the purpose of my journey. That is a topic I can go on about.But since its 3 I will need to focus. 1) Read, write, edit repeat. 2) Have a group of friends to support you.Unlikely you will get many. But try for three.That I think is the magical number.Too many who don't hear the song you hear and self-doubt will creep in. 3) Avoid negative people and negative atmosphere online or offline.It saps and drains creativity.Even if you are great at stress management It takes its toll.Writing happens when your soul speaks to you.When your brain chatters incessantly you cant hear your soul talk. A bonus tip: Write somewhere where you can watch a green plant.I have seen even a picture of a forest helps me write! Thank you, Amrita. Hope you achieve all your dreams as a doctor, writer, and mompreneur. Thank you so much Preethi for this.I .humbled that you found me worthy of being featured.Best wishes in all that you do. Honoured to have you here, Amrita! Thank you for this inspirational chat. Enjoyed reading your post, and I'm filling that form right away! You are an amazing writer and yes the universe does help if we want something bad enough! Thank you for reading, Zainab! Brilliant interview. I totally agree with the points she made. Glad you liked it, Roshan! Thank you for reading. That is such an inspiring post! I too constantly strive to strike a balance between being a doctor, mom and a blogger! Thanks to Amrita for inspiring and Preethi for featuring her! Cheers to womanhood! Dr Amrita is inspiring and a talented story teller. Thanks Preethi for featuring her and enjoyed the interview on tips about making three friends to motivate and script the book in one's mind. A good read. Happy to know more about her. Commendable that she is doing several roles at a time.